This plan was designed for use by hospitals within Region 3 and is supported by Emergency Management, Regional Hospitals and Public Health Departments within the Green River District Health Department authority. For a total of 21 votes, with a quorum of 11. Chair will only vote in the event of a tiebreaker. The Region 3 Emergency Preparedness Partnership Response Plan was developed by Methodist Hospital Henderson, Union County Methodist Hospital, Ohio County Hospital, Owensboro Medical Health System, River Valley Behavioral Health and Hospital, Area 3 Emergency Management, area EMS Services and the Green River District Health Department under the guidance of the KY Hospital Association and the KY Department of Public Health. To coordinate medical activities, efforts and resources of Region 3 health care providers in a crisis event; to improve the ability to provide emergency medical and emotional care, and treatment of casualties resulting from a natural or manmade disaster, including biological, chemical or radiological incidents that may occur as a result of war or terrorism; to help ensure the continued provision of routine emergency and medical care for the population in general. To compliment each individual facilitys Emergency Response Plan for the purpose of ensuring optimal utilization of resources and disaster support to the public health of Region 3 (three). Health Care Providers in Region 3 have many responsibilities as a part of our routine duties. Among these include the responsibility to react to and assist in possible scenarios of emergencies that could range from an extremely limited geographically isolated situation to a county, a district wide problem or could encompass the entire region. 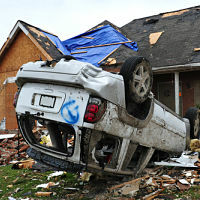 Disasters, which result from natural or technological hazards, may occur in Kentucky at any time. Such disasters can vary in kind, geographic location, length of warning, number of casualties and requirements for recovery. In addition, biological and chemical warfare have become a reality and must be prepared for. Region 3 in Kentucky is exposed to many hazards, all of which have the potential to disrupt the community, cause damage and cause casualties. It is possible that outside assistance will be available in most major disaster situations, and plans are being developed to facilitate coordination of this assistance. However, it is necessary for Region 3 to plan for and to be prepared to carry out disaster response and short-term recovery operations on an independent basis. services in excess of normal demand. evacuation of patients or residents receiving care at that facility. 	A disaster incident can give rise to emotional and psychological issues to both delivery service personnel and to the injured. 	A disaster incident can give rise to secondary sources of infection and disease if proper medical steps are not taken in time. 	There is a shortage of beds in Region 3 for treating burns, radiological contamination, and/or isolation needs. 	This plan may be activated in level of response and / or phases. The chair of the Region 3 Emergency Preparedness Partnership will maintain control and security of the plans. 1. Tabletop Exercises: one annual. 2. Functional: sections of the plan will be tested hands-on during the three-year period. Region 3 Emergency Preparedness Partnership will comply with any directives from Center for Disease Control & Prevention (CDC), Kentucky Department of Public Health (KDPH) and the Kentucky Hospital Association (KHA) for exercises. The Region 3 emergency Preparedness partnership has developed an officer position of Training Coordinator/Resource Tracking. It is this persons responsibility to acknowledge training needs within the region, help communicate upcoming trainings, help utilize resources for exercises, drills, etc. and keep partnership informed. Within this regional group is an established Regional Training Coordinator (RTC) funded by Green River District Health Department. The RTC will assist in the execution of any exercises developed by the partnership or directed by state/national agencies. A formal revision will be done annually. A. Advisory Level: This level may be activated when symptomatic trends and / or information from sources has resulted in an increased need to communicate among facilities regarding a heightened level of surveillance and awareness. This level may last 24-48 hours and may be expanded as needed. B. Partial Activation: This level is activated prior to lab and or other confirmation of a Mass Casualties Incident. This level of activation is determined by the affected facility / facilities which will determine the sections of this plan needed to respond to the situation. C.	Full Activation: This level is activated by the confirmation of a Mass Casualties Incident resulting in the need for the activation of the complete Health Care EOC / County EOC and the implementation of the Region 3 Emergency Preparedness Response Plan. Note: Any level of activation could result in an expanded level of activation. Local Health Department would be notified through the Emergency Management notification system, the Health Alert Network, State Agencies or Local Health Care Providers. 3. Green River SatCom System: incorporates 21 SatComs in the seven counties; installed in hospitals, health centers, ambulance service/ dispatch centers, Emergency Operations Centers, mobile applications are being utilized but may be packed and ready to respond. 5. Health department can utilize Blast-Fax capabilities if possible. 9. Region 3 hospital communications state-wide bed and patient tracking systems utilizing WebEOC. 13. CANOPY  this system allows inter-agency data communication. Note: Any agency may contact any portion of the tree at any time deemed necessary. WebEOC is widely available with limited use. This system may be utilized for determining bed status, operations of the Emergency Department of patient tracking. It is being drilled by KHA with R3s involvement routinely.. Currently only labor intensive manual monitoring is being done, and that electronic surveillance programs are currently being investigated by the state. In conjunction with the establishment of the Green River District Health Departments EOC there will be a Joint Information Center (JIC) established with Public Information Officers (PIO) from each of the hospitals, the District Health and Emergency Management. The JIC will release any/all public health information notifications. With the establishment of joint information centers and EOCs communication will be released through this establishment. With the establishment of the Green River Emergency Operations Center the Joint Information Center (JIC) will develop a release to keep the public and media notified as to the incident. Red Cross representatives will assist in setting up reception areas for family and friends. Information will be released through the ICS, EMA (EOC), and the PR representative in this order. Region 3 partnership has one representative PIO. CANOPY allows the Regional Partnership to be able to communicate data without the need for outside internet. This is yet another method for communicating bed availability, resource needs/sharing, etc. 1. Level of activation will be determined by the nature or intensity of the event and its effect upon an individual agency. 2. Member agencies will follow the National Incident Management System (NIMS). 3. Each facility has in place lock-down procedures / policies that would go into activation. 4. Member agencies should provide signage/plans for alternate entry procedure. 6. Agencies will provide emergency measures to secure and control air intake and exhaust systems. 7. Identity of responding agency representatives will be verified before they will be admitted for service. 8. Member agencies will confirm professional credentials as needed, according to their established procedures. 9. EMA is to maintain current MOAs with community resources. 10. Agencies may be required to utilize distance barriers or heavy equipment to prevent unauthorized entrance to property. 	Green River District Health Department will be the lead agency in addressing disease issues and providing educational materials for both local health care providers and the general public. 	Green River District Health Department will be the coordinating agency working with each facilitys public relations personnel regarding disease issues. 	Hospitals will be lead agencies in addressing patient information and issues relating to their facilities. 	American Red Cross will be assigned the task of addressing patient information off-site for family members of those in ARC shelter operations. 	RiverValley Behavioral Health will supplement staffing for the Kentucky Community Crisis Response Board through the auspices of the American Red Cross. 	Green River District Health Department, in conjunction with the appropriate Emergency Management agency, will coordinate Special Medical Needs Shelters. 	Ideally shelters of both types  general population and special needs, could be co-located to share valuable resources. 	A Joint Information Center (JIC) will be established as quickly as possible for regional events. 	Region 3 has developed a PIO subcommittee with representatives from each of the agencies involved wit the partnership. Each facility will assign a staff member to track patient identification, patient information and patient location. It will be the responsibility of this assigned staff to provide updated patient information to American Red Cross on a regular scheduled basis. Ohio County residents in need of shelter have a choice of any shelter in any county. Disaster victims needing financial (or similar) assistance must go through the Louisville Chapter. volunteers can be members of the chapter of their choice. NOTE: Education program are in the process of being developed by Green River District Health Department and the implementation process will be added to the regional plan at that time. Plans are also in development to implement a region-wide community educational campaign prior to an actual event. The following media avenues will be utilized to provide information regarding the event and regularly scheduled updates. 	Media contact will be made through either the Incident Command System (ICS) or Emergency Operation Center (EOC) in charge of the event. 	All contact should be made with the designated Public Information Officer (PIO) of the ICS or EOC using a properly formatted Emergency Alert Message. 	Any information to be given out will only be by the PIO representative of the Agency in charge of the event. 	Information distribution will utilize the Joint Information Center when established. 	Personal Protection Equipment (PPE) is available for responding clinicians at each facility. Inventory of PPE is adequate for Routine Daily operation. However if an Event involving a Bio-Terrorism the situation might require additional supplies of PPE within 24 hours of recognition of an occurrence. Region 3 Emergency Preparedness Partnership currently has stocks in the Owensboro Riverport Authority for equitable distribution among the district. Officers in conjunction with Emergency Management may release the warehoused stocks. 	PPE guidelines are posted in each facility. 	If additional equipment is required, the local Emergency Management Agencies are available to support & supplement the member agencies. 	If the magnitude of the event warrants, the Strategic National Stockpile may be requested through District Health by calling 1-800-928-7123 or 270-686-8123. Facilities have the capability of providing short-term antibiotic prophylactic treatment for each staff. Plans would be activated as needed in the event of a Bioterrorism exposure/event. 	Plan includes making available prophylactic treatment for staff family members. 	In the event of a large scale disaster, a request for the Strategic National Stockpile (SNS) would be placed by Green River District Health Department District Director to the Kentucky Commissioner of Public Health who would in turn contact the Governor to request the SNS if deemed necessary. 	In the event it is deemed necessary to vaccinate for Smallpox, Green River District Health Department would activate the Post-event Smallpox Vaccination Plan. 	Incident Command Officer would be the responsible party to initiate, notify and coordinate gross decontamination procedures in the event of an emergency. 	Emergency Management Agencies maintain a list of local emergency decontamination capable agencies. Resources are available through Task Force 3. 	These capabilities would be utilized under the direction of Emergency Management. 	Each facility has some capability to provide decontamination on site. Plans are in place to activate the decontamination process and would be determined by the event at each facility. Increasing that capability will be an ongoing priority utilizing acquired funding. Kentucky has a regional response system with 14 teams to provide response to hazardous materials and WMD events. Task Force 3, a Green River Regional Response team, has developed a capability to provide decontamination for up to 500 people. 1. There are 41 isolation / negative pressure beds available in Region 3. Facilities would utilize available beds until maximum capacity is reach. 2. Facilities would follow CDC guidelines for transmission based precaution procedures. 3. Triage and ambulatory patients exceeding facility capacity will be diverted to other acute care facilities that have not met surge capacity. NOTE: KRS 214.020 states: when the Cabinet for Health Services believes that there is probability that any infectious or contagious disease will invade this state, it shall take such action and adopt and endorse such rules and regulations as it deems efficient in preventing the introduction or spread of such infectious or contagious disease or diseases within this state, and to accomplish these objects shall establish and strictly maintain quarantine and isolation at such places as it deems proper. 1. The State Epidemiologist will serve as the coordinator of isolation or quarantine activities in the event of an outbreak in Kentucky. Local and/or state statutes regarding public health authorities for isolation and quarantine of potentially infected and incubating persons shall be followed. 2. When necessary, federal public health statutes for the control of infectious diseases may be enacted to assist local and state authorities in implementing the necessary outbreak control measures. 3. In the event of a Smallpox outbreak, symptomatic contacts will be placed under surveillance for symptoms at their home or in designated areas for 14 days after successful vaccination. 4. A state of quarantine will be instituted only as a last resort to control a smallpox outbreak situation when other previously listed containment measures have failed or are falling behind the accrual of new cases. 5. KY laws establish adequate authority for the Governor to institute quarantine measures at local, county, or state level in a declared emergency. 6. If quarantine is indicated, the governor of Kentucky, in consultation with the Secretary of Health, Commissioner of Health and the State Epidemiologist, as well as federal authorities, will be responsible for declaring this state of emergency and marshalling resources to implement the quarantine plan. NOTE: Specific locations of isolation/quarantine will be determined by public health authorities and will be based on the events that precede such an occurrence. Local Public Health and Emergency Management will act, as liaisons, to identify sites that meet specific need under the direction of the state public health authority. Notification process of a potential surge event would be activated by the responding agency. 1. Green River District Health Departments DOC, would be activated after notification by the initial responding agency. 2. Hospital facilities would activate plans to begin the process to determine early discharge, as well as initiating communication between each hospital in the region and if necessary other region within the Tri-State area. 3. Hospitals would activate plans to call in additional staff as needed. 4. Each facility has MOAs for Diversion and will be evaluated and reviewed annually. The facility Diversion Plan or Procedures will be activated and coordinated with the County EOC. EMSystems will be used. 5. Green River District Health Department will provide and update regional (MRC) medical volunteer database as needed. Which will coincide with the state database, ESARVIP. 6. Area Emergency Management agencies will provide and update Community Emergency Response Teams (CERT) database as needed. 7. Hospitals would activate plans to develop areas for additional beds/cots as needed. Approx 129 Medical and 12 Mental Health beds with the ability for additional beds  250 with ACS and 25 in state surge trailers. 8. Hospitals would activate plans with medical suppliers to obtain needed medications/supplies during the event. 9. Plans will be activated to begin the process of transferring stable patients to Medical Facilities or other hospitals/health care facilities outside of the affected area. Initially Consideration will be given to the usual referral sectors. A. Decision will be made by County EOC responsible for designating facilities for shelters, which may be utilized for surge bed capacity. B.	Tracking of patient identification and information will be assigned to designated staff from each facility. C.	Designated staff at each facility will also be responsible for tracking bed status and will provide this information on a regular scheduled basis to the County EOC. 10. Hospital Emergency Administrative Radio System will be utilized to provide rapid communication to EMS units to allow them to determine a destination immediately. 11. Surveillance information from Emergency Departments, Urgent Cares and incident site triage center will be shared with the County EOC for the distribution of available equipment, bed capacity and the diversion of non-critical / ambulatory patients to established locations off site of the facility. 13. Each facility will coordinate interpreter services according to facility requirements. 14. Upon the request of OMHS, RiverValley Behavioral Health Hospital will provide inpatient treatment for adult psychiatric patients per MOA/MOU..
1. Each facility will have in place MOAs and plans with the following agencies to provide back-up essential services if needed. 2. Each facility will activate plans to request delivery of additional supplies and set forth thru MOAs. Transport and needed resources are through the EMA / EOC. 3. American Red Cross may be utilized to provide shelters and other supported services as needed. 4. Each EMA region and the EMA within the community will be activated for resource mgt. 5. Each hospital has in place contingency plans to maintain essential services, utilities, and resources. 6. Each EMS Service has Mutual Aid Agreements fro the assistance, response and need for equipment. The responding services have GPS units in each ambulance for Mutual Aid response (used for locating addresses and latitude/longitude during MCI/Disaster response). EMS Services within Region 3 have established a standard triage tag system that will be utilized throughout the region. 1. Medical Waste created by a surge event would be disposed of according to facility procedures. In the event normal procedures for the disposal of medical waste are not an option, then each facility would activate Bag and Contain procedures. Waste would be contained in a secured area of each facility until disposal is possible. 2. Emergency Management would be notified of the need for the expedient and safe disposal of medical waste that will be generated at each affected facility from the emergency event. 1. All agencies within the Region 3 areas will function to the best of their capabilities in the care and treatment of burn patients. 2. It is known that current capabilities are limited with severe burns. 3. Area hospitals may transfer burn patients in accordance with the attending Physicians wishes and regional capabilities. This includes all types of burns. A. Each agency will utilize facility morgue capacity. Cold Body Storage units are being made available to each acute care hospital within Region 3. B. Each County Emergency Operation Plan (EOP), along with the county Coroner and their plans, have in place pre-designated alternate morgue sites to be utilized once facility capacity is reached. This plan is activated and coordinated by the County Coroner who has a representative sitting in the EOC when the EOC is activated by the EMA during an event and is a part of the planning. 2. County Coroner and/or Emergency Management will activate plans for refrigeration units/trucks if needed. 3. County Coroner will request DMORT if needed through state and local EOC if necessary. pandemic. These two collection points are: Glenn Funeral Home  Owensboro, KY and Benton-Glunt Funeral Home and Tapp Funeral Home (co-owned) - in Henderson, KY. Discussions include use of the Community Colleges (located in Owensboro and Henderson) and local churches to assist with these operations and counseling. heavily upon those funeral homes closed during the pandemic. 2. Use of a dispatch system for transport is being discussed. for all deaths during this timeframe. One site in each county: Daviess and Henderson unless more are needed. 4. Patient Identification Tubes will collect demographic documentation and place with each dead body. A.	Communication: The Green River District Healths DOC in consultation with County Emergency Management, local and state authorities will communicate to affected facilities the need to begin recovery from the activation of this plan and to return to a normal state of operations. B. Facility Decontamination: If necessary affected facilities will activate plans to decontaminate facilities as needed and to begin the process to allow facility employees and civilians to reenter facility once decontamination has been completed. C.	Patient Retransfer: Affected facilities will activate in-house plans for the retransfer of patients to the facility of origin prior to the activation of this plan. D.	Mental Health Counseling: Services will be available for access by both staff, responders and the public as outlined in each County EOP. The Kentucky Community Crisis Response Board working through the American Red Cross as supplemented by RiverValley Behavioral Health will provide staff for Crisis Interventions. E.	Region 3 defines first responder as: Anyone who can arrive on-scene for event. F.	Lessons Learned: Once the situation is stable, a lessons learned/critique process would be conducted for affected facilities. If the event required Emergency Management involvement, then Emergency Management would be the coordinating agency for the critique process regarding the Regional Plan. Each facility has plans in place to conduct an internal critique process. Suggested critique changes may be presented to the Region 3 Partnerships for approval and implementation of the plan. A written After Action Report (AAR) will need to be completed and submitted to the partnership and to state officials. During crisis events, Regional members will utilize the communication notification procedure.